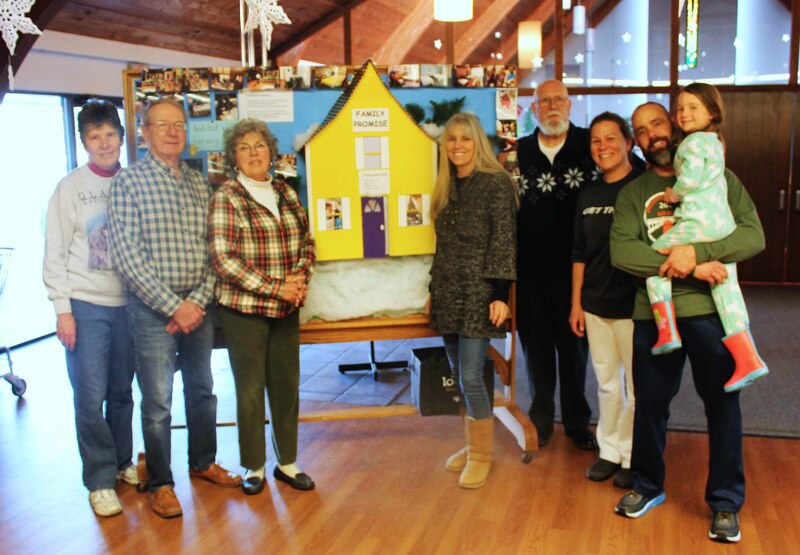 Thank you to all the volunteers from our church, St. Alban’s, and St. Bartholomew’s for helping homeless families with children to feel at home in our church during the week of Feb. 3-10 as part of the Greater Portland Family Promise mission. The group in this photo took apart three bedrooms in our church on Sunday morning, then cleaned and put the church back together in time for the 10 a.m. service. The three bedrooms were in the sanctuary, chapel and Sunday School room, providing a comfortable and safe environment for 12 adults and children from Angola and the United States. Volunteers during the week set up the bedrooms, prepared evening meals, sat with the families during the evenings, and prepared a hot breakfast on Saturday morning.